If the Spring season (in knitting workshop parlance) is really Winter/Spring, as it starts in January, then the Fall season is really Summer/Fall — although Summer knitting workshops are few and far between. However, this year I’ve got a couple that technically do fall within Summer — but also some that stretch about as far into the Fall as workshops are likely to go (as nothing is ever scheduled past Thanksgiving). June 13, Warwick, RI: I’ll be teaching an intro workshop and doing a presentation to the Ocean State Knitting Guild. I will be selling my own books and patterns at this event. August 2-4, Schaumburg, IL: I’ll be returning to Stitches Midwest after a few years away; my books and patterns will be available at the Wall of Yarn booth. September 5-9, Searsport, ME: I’ll be returning to Fiber College to teach three 4-hour classes. I’ll be selling my own books and patterns at this event. 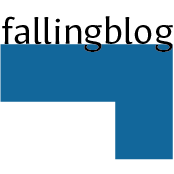 September 13-16, Amherst, MA: I’ll be doing a series of intro and intermediate workshops at the WEBS Fall Knitting Retreat. October 3, Harvard, MA: I’ll be doing a presentation (no workshop) to the Nashoba Valley Knitters’ Guild, and will be selling my own books and patterns at the event. November 1-4, Pasadena, CA: I’ll be coming back to the Pasadena Convention Center to teach 6 classes at the new Stitches SoCal! My books and patterns will (presumably) be available at the Wall of Yarn booth. More will be added to this post as other events are booked; you can also check out my events calendar for more details. Also relevant to those taking workshops from me (especially beyond the Intro): I’ve got a new cast-on video up on my YouTube channel! This is long overdue, but as I’m revamping the workshop descriptions, prerequisites and homework for many of my classes, I’ve decided it makes more sense to have my own video than to refer people to someone else’s video just because I’ve been too preoccupied to take the time to update my ancient cast-on video. Also, please subscribe to my Youtube channel! I had videos up on my personal channel for a long time and I’m trying to steer people to my new channel. If you want to see new videos as they come out, they’ll only be posted to my new channel, not my personal one! Looking for updates on Extreme Double-knitting? Stay tuned! There’s one coming soon. Well, faithful follower, it’s long past the time I hoped I’d have my book ready to print but progress is still happening. Here’s the rundown. First and foremost, the final request I made of Cooperative Press when I signed my rights reversion contract has been granted. If you own a Ravelry copy of Extreme Double-knitting (either because you purchased it digitally or because you got a Print+PDF deal from Cooperative Press), you should have received a Ravelry message today. Please check your email (or log in to Ravelry if you don’t have Ravelry messages set up to forward to your email). I want to extend a thank-you discount to people who purchased the original edition of my book. I have been racking my brain to figure out a fair, foolproof method of determining who is eligible for such a discount. Unfortunately, since I don’t have access to the sales records, my hands are tied. Cooperative Press was unable to send a message to all of the customers who bought my book, but was able to reach out via a Ravelry update. I know this will not catch everyone — but it’s the best I can do. People have made suggestions about how else I might compile a list of eligible customers, but there are too many loopholes that might be exploited. That said, if you haven’t received the Ravelry update and you can prove (with a receipt) you purchased Extreme Double-knitting from Cooperative Press, a LYS, Amazon or some other vendor, get in touch and I’ll do what I can. Close to 10 years ago, I did a photo shoot with two friends who had agreed to model for my first book. I thought it would be fun, as I completed the redesigns and reknits of my patterns for the revision of that book, to also revisit my models from 10 years ago. I had a couple of hurdles: I wanted to photograph winter wear and it was already Spring, and my models now live in Atlanta where it’s much more obviously Spring than up North where I live. So I had them scope out locations where we might be able to reduce the obvious seasonal inaccuracy, and we did our best. We had a lot of fun and took some great photos. 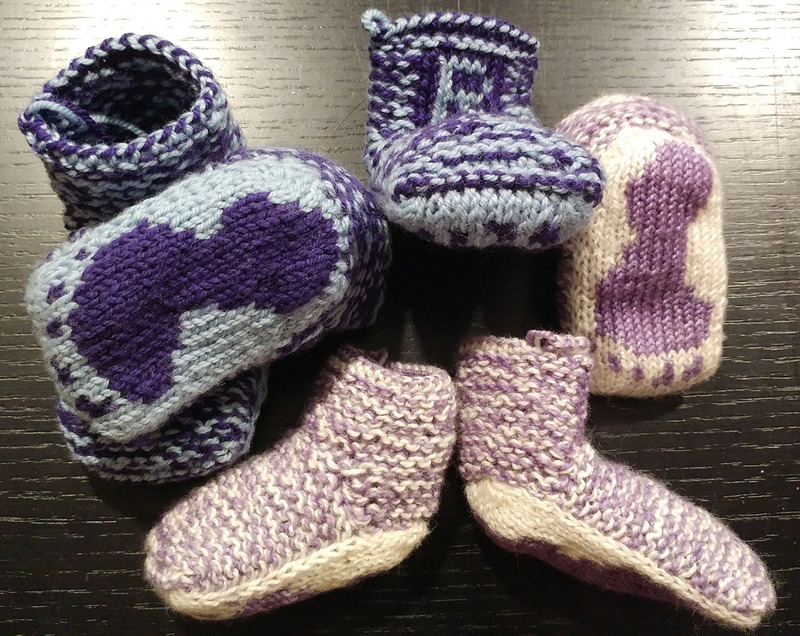 I just have a couple pieces left that need photographing and require conditions that my friends could not provide (due to the lack of readily-accessible babies and yarn stores in their immediate vicinity). The book layout is approaching done-ness, and there’s a bit of a surprise. I’ve been calling this my “revised and expanded edition” — but that appears to be only half true. Revised it is, but expanded? Not so much. In fact, it’s about 30 pages shorter than the previous version. How is this possible? I have a few theories. First, I went from a portrait-mode 2-column layout to an oblong 3-column layout (as a comparison, Double or Nothing is an oblong 2-column layout with 4-column instructional sections. Second, I removed a significant chunk from several chapters, relegating the twisted (“introverted”) stitches to the appendix rather than the front-row seats they were occupying. Third, I was able to make some patterns more efficient in the redesign process. Sierpinski, for example, took 9 pages of charts to express in the previous version. The new version now takes up 2 pages, and only one of those is actually a chart; the other is a schematic. Since the pattern is based on a fractal, it only makes sense that I can use fractal geometry to save space. I have some more hand photos to shoot (and should be able to do so in the next few weeks as I will be keeping my hands well manicured for my last two major appearances at Yarnover and Maryland Sheep & Wool. There will also be stock photos and a handful of miscellaneous items — but I was able to reuse quite a lot of material from the original version too. Once the book is mostly done, it’ll head off to tech editing and finally (after changes are made in response to tech editing) to printing. I think that I should have it complete and ready for shipping by mid-summer or early Fall, and definitely ready for sale at my Fall appearances. Thanks again for your interest and stay tuned! As of January 1, 2018, Extreme Double-knitting is (legally) mine. The final royalty statement from Cooperative Press has come in, and (of course) as a side-effect, it’s next to impossible to get them to follow up on the loose ends. I’m probably pretty low on the priority list at this point. The book is still available at Amazon and Barnes & Noble, and digitally at Knitpicks. Since my relationship with Cooperative Press is now severed, any money from sales at these places should be going to me, but isn’t — and I have no way to keep track of sales so it’s up to CP’s honor to remit payments to me until we can get these venues to take down the books. Of course, there will always be used copies out there, and I’m sure the odd LYS still has a copy or two. However, if you’re looking for a copy, I highly recommend you wait for the new version, which will be out later this year. As I’ve already mentioned, my wrist injury has been slowing down my knitting. However, I have completed 6 of the Footsies (2 full pairs and 2 single booties for at least one example of all four new sizes), woven in a ridiculous number of ends on the Whorl’d Tree bag, and (most importantly) begun work on the actual book layout. I have decided to lay it out oblong (like Double or Nothing) so that the two books fit nicely together on a shelf, and for a number of charts that benefit from the horizontal length. I have finished laying out the patterns and technique chapters; I am now working on the deeper dive stuff toward the end and the appendix. I’ll need to start setting the technique photos and identifying which ones need to be re-shot. Fortunately, I’m about to do a series of teaching weekends, so my hands should be regularly manicured for the next several months, which will make it easier to do those photos. There have been a few other challenges that have popped up which are slowing me down. The first I alluded to in the previous update: there are a couple of projects that returned from sample knitters that I just wasn’t happy with — not necessarily due to the sample knitters’ work per se, but due to some other unforeseen circumstances. All my knitters have been paid, and will get full credit in the book, but I’ve taken it on myself to re-knit part or all of a couple of the pieces. The most important thing about sample knitting is that the final piece looks plausibly as if it were knit by me. This means the fabric has to meet my high standards for quality and workmanship, at least within reason. I am fundamentally a nice person (I think) and there were cases where I probably should have been less lenient — but it’s a learning experience. Because I can’t do the model photoshoot until I have all the pieces available, and there’s only so much winter/spring weather left in the season, I am concerned that I may be waiting until the Fall to do the photoshoot and getting the book out for Christmas of 2018 rather than the Spring as I’d hoped. This will surely annoy quite a number of people, not least myself, but it is most important to me that this book be something I’m happy with than that it comes out promptly. 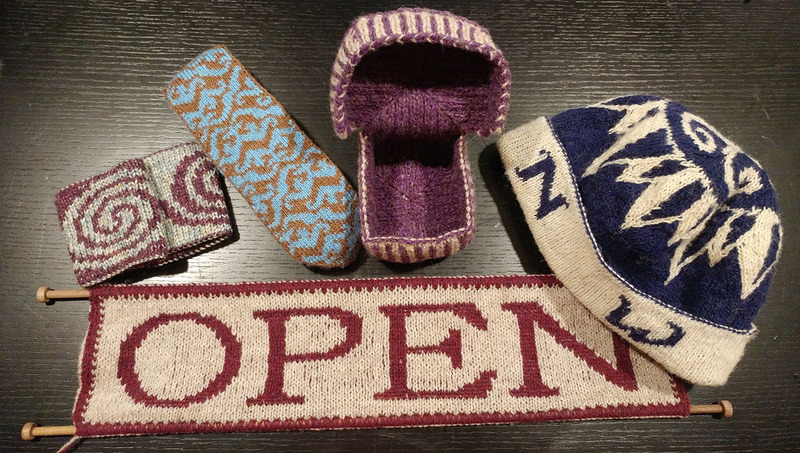 This week I’ll be heading to Stitches West, where I’ll be teaching (among other things) two brand new workshops on double-knit intarsia and double-knit entrelac. I hope it all goes well! Come and pick up a copy of my book or patterns at Wall of Yarn, booth 827/829. I’ve got a busy Spring teaching season coming up; check out my recent blog post for all the dates and locations. In addition, I am finally coming back to the Chicago area for Stitches Midwest this year! It’s been too long. Finally, I guess it’s true: scarcity sells. After the previous blog post, 52 Pickup is down to 3 copies of the final run of 30. Thanks to everyone who grabbed one! If you’ve been waffling about it, now’s the time — these won’t last, and there literally can’t be any more since the printer has erased the file from their servers. There may be a slight delay in shipping as I’ll be out of the state for the better part of the coming week. As the 2018 “Spring” teaching season begins, I felt I should make a definitive posting of the season’s final workshop schedule. Clearly missing is the Vogue Knitting Live appearance which has already passed. I’m also trying to give as much info on book/pattern sales at these events as I currently have. January 20, Epsom, NH: I’ll be doing an intro workshop for the NH Spinners & Dyers’ Guild. I’ll be bringing my books and patterns for sale. January 27, Wayland, MA: I’ll be doing an intro workshop at Wayland Winter Farmers’ Market Farm & Fiber Day. I won’t have a formal vendor presence here. My books and patterns will be for sale to my students; if you’re not a student but interested in something feel free to corral me at the market and I’ll be happy to sell it. 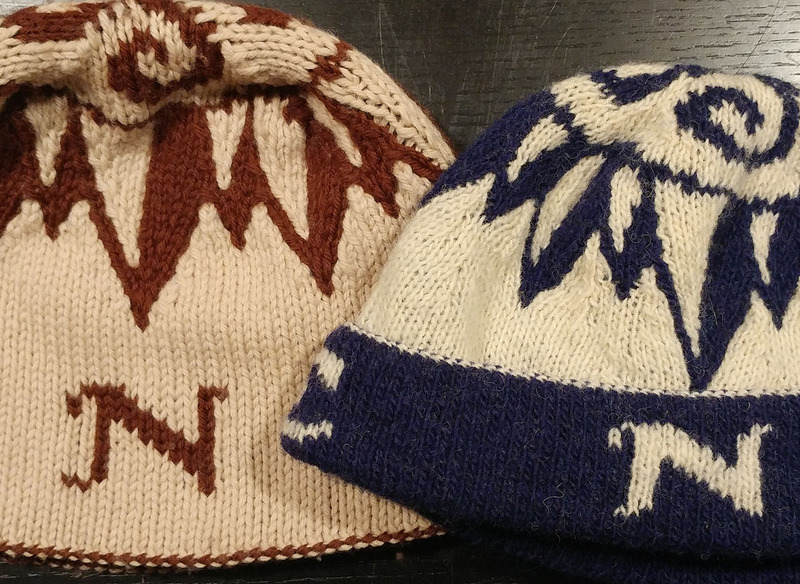 February 22-25, Santa Clara, CA: I’ll be returning to Stitches West and teaching (among other things) two brand new workshops on double-knit intarsia and double-knit entrelac! My books and patterns will be available at Wall of Yarn, booth 827/829. March 22-25, Hartford, CT: I’ll be teaching a few workshops at Stitches United. My books and patterns will be available at the Wall of Yarn booth. April 6-8, Pittsburgh, PA: I’ll be returning to the Pittsburgh Creative Arts Festival. My books and patterns will be available at the Space Cadet Yarn booth. April 27-28, Minneapolis, MN: I’ll be back at Yarnover for my second year! My books and patterns will be available at the ModeKnit booth. May 2-6, West Friendship, MD: I’ll be teaching a series of workshops at Maryland Sheep & Wool. Books and patterns will be available at the Buffalo Wool Co booth. More to come as contracts are signed! For more details on many of these, visit my Events Calendar. Just in case you’re interested, but partially for my own record-keeping as well, here’s a rundown of 2017 in book sales (no dollar amounts, just sales numbers). Double or Nothing was (predictably) the highest seller this year, with a total of 511 copies sold. Along with my preorders from late 2016, this brings my total copies sold up to 854. These numbers include all sales of physical books: direct sales, show sales, Amazon sales and wholesale to shops. Thankfully, the majority of these sales were direct and show sales (where I make the most money, and am able to provide more benefit to customers in the form of the free PDF downloads). Second in sales was my Parallax booklet, which has been consistently popular to the point that I elected to print 1000 copies earlier in the year. 226 of those have sold, not counting the leftovers from the previous batch. My printed patterns have done fairly well also, although I am cutting down the number of these that I keep in stock. Once the printed versions of Spring Willow (also included in Double or Nothing) and Parallax v0.5 (also included in the Parallax booklet) are sold out, I won’t be printing more. 147 standalone patterns have sold; the highest-selling was (as usual) the Victorian Raffia pattern. I don’t have a total count of digital sales (Ravelry doesn’t make it easy to get that kind of summary) but I know I sold 75 copies of Double or Nothing’s PDF version (not counting the free PDF downloads for those who bought the physical book) in 2017, for a total of 121 during the life of the book. These numbers are reasonably good if not amazing; I certainly would have been happier if the holiday season had been kinder to me. I put out ads and promoted my work in a number of different ways but could not seem to find a sweet spot where the sales generated made the ad expense worth it. I will be consulting with someone more knowledgeable than I to figure out how one could better promote a book that is a year old now. The one pattern that I have noticed is that sales are always better when I am personally present at a show or vendor booth. For this reason, I will be keeping an eye out for vending opportunities and will continue to take teaching gigs. Speaking of which, I’ve got a repeat of last year’s double-knitting workshop at the Wayland Winter Farmers’ Market. This is newly added to my 2018 workshops, and since it’s coming up fast I figured I’d take a moment to mention it here. Last year’s workshop sold out, so if you’re in the area and interested in learning double-knitting on January 27th from 2-5pm, sign up soon. Dirty Water Dyeworks will be stocking my books and patterns there. Buy your double-knitting gifts soon! Just a reminder that your last chance to order printed books and patterns from my online store (including Double or Nothing, Parallax, and Victorian Raffia, among other standalone patterns) to ensure delivery to the US by Christmas will be Tuesday, Dec 19th. If you are closer to the Northeastern US, you may be able to order later and get 2-day shipping or even 1-day shipping, but that’s not guaranteed. Remember, if you order direct from my store (as opposed to Amazon), every book and pattern comes with a free PDF download code. You can also request a signature on your book for a nominal extra fee. Thanks for supporting small fiber businesses this year! p.s. If you’d like to hear a recent review of Double or Nothing, the Knitmore Girls did one on their podcast back in November. I knew they were going to, but I didn’t actually hear it was out until later — so here you go. It’s been a month and a half since my last proper update — but I have an excuse. About a month ago, I took a fall on my bicycle and sprained my wrist. My right hand has been in a brace on and off since then, and while it hasn’t stopped my knitting, it has slowed me down significantly. It has also created difficulty in my job (it is hard to hold and turn a screwdriver while one hand is in a brace) and in typing. In addition, I had two weekend gigs with a total of 27 hours of teaching, plus book signings at four different venues. My wrist is basically OK out of the brace now, but it still twinges now and then and it will probably be a while before it’s completely healed and fully functional again. For that reason, I’m going to try to keep this update short (note: I failed), and also focus more on the work done by other people than my own work. First, the status of the book itself. Cooperative Press hasn’t responded to my emails for the past month, and hasn’t removed Extreme Double-knitting from Amazon or Ravelry as I requested, despite having a signed and counter-signed rights reversion agreement. I suppose it makes sense not to take them down as we go into the holiday gift-giving season, but I’d really rather people not get a sub-par product when they could simply wait a few months for a much better one. So I’m going to ask you, as someone who’s following me, to please wait. But if you just can’t wait, you can still get the 2011 version in the usual locations. I’ve gotten 5 of the 6 projects back which were being worked on by sample knitters. The sixth (Vasily) got an extension because his dog literally ate his homework. He gave me the choice of having me deal with it in person or an extension — I took the extension, and as of the most recent update, it’s almost complete and will be mailed back to me this week. Finally, Struktur has had a significant redesign: the chart repeat has been condensed for easier sizing (the closure is now 5 or 6 repeats around, rather than 4), and the yarn has been changed to sport weight. I struggled a bit with the colors because the heathered versions I was able to use in Cascade 220 don’t exist in 220 Sport. So I did the best I could. 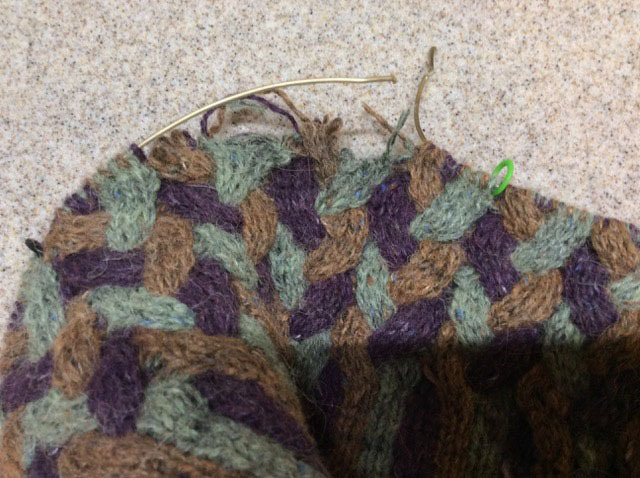 My sample knitter had difficulty with the decreases so I had to tear back the crown and rework it myself — which is a funny echo to the previous Struktur where I also had to do the crown myself due to a sample knitter’s hand injury (not related to knitting, I swear!). This also gave me the opportunity to refine the crown closure a little bit, so it was probably for the best. The one I’m not showing yet is the Falling Blocks hat. It has returned, but the aura of the yarn is so overwhelming that I may have to reknit it. This is no fault of my sample knitter, but it is frustrating. The yarn is the same as the original but finer, so perhaps with increased surface area comes increased aura. I didn’t see this in the sample swatch I made, so I’m not sure — I’ll have to see how it goes. While I am not doing a Black Friday/Cyber Monday sale this year, I do have a way for you to save a little bit of money if you order from my store soon. Between now and the end of the month, Media Mail shipping will be available for my printed books and patterns within the US. For the month of December, I’ll be going back to Priority mail only — and then in January I’ll turn Media Mail back on again. So if you want to save a few bucks on shipping, order in the next few days. Also, I’ve got my (PDF) book in an Ultimate Bundle that’s opening TODAY and is open for the next week — so you have only a short time to grab a whole pile of patterns and projects for very little money. In the knitting section, my book is far and away the most advanced, but there are sewing, weaving, applique, quilting and crochet sections if you are multicraftual or aspiring in that direction, you may find something to your liking here. In addition, if you buy in before Thursday, you’ll get your choice of a Craftsy class for free! Also, I believe you can give the bundle as a gift if you’ve got someone in mind who might be interested. And whether you’re going after the bundle for my book or for something else, if you use my link, you’ll be helping me out this holiday season too. Thanks! Finally, if you missed my update on upcoming workshops, you can check my previous blog post and/or visit my events calendar. Thanks for reading and I’ll see you next time! January 12-14, NYC: I’ll be teaching a couple of intro DK workshops at Vogue Knitting Live. Also, my good friend Diane is bringing Lady Dye Yarns to Vogue for the first time, so check her out if you’re there. 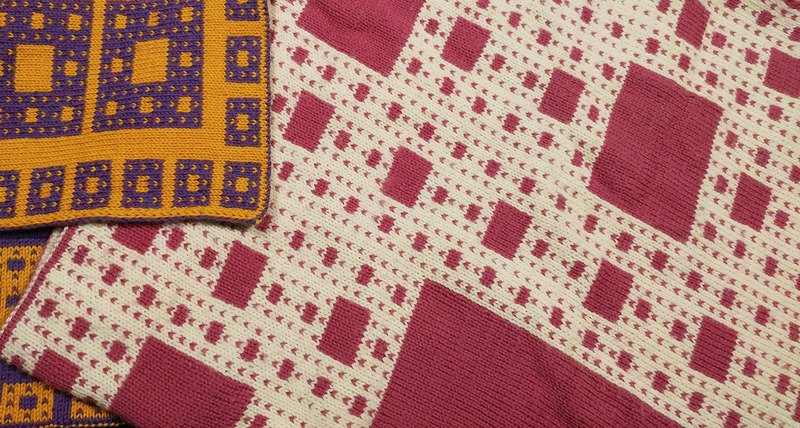 February 22-25, Santa Clara, CA: I’ll be returning to Stitches West and teaching (among other things) two BRAND NEW workshops on double-knit intarsia and double-knit entrelac! March 22-25, Hartford, CT: I’ll be teaching a few workshops at Stitches United. April 27-28, Minneapolis, MN: I’ll be back at Yarnover for my second year! June 13, Warwick, RI: I’ll be teaching an intro workshop and doing a presentation to the Ocean State Knitting Guild. More to come soon, probably — I’ll keep you posted! For more details on any of these, visit my Events Calendar. Am I not coming to a convenient location for you? Do you have a LYS or guild that might like to bring me in? Get in touch and let’s talk! I’ve got a few weekends still open for the Spring 2018 season. I haven’t stopped working on Extreme Double-knitting. I know I’m behind on the updates. I’ll get a new one up soon, but I’ve been traveling, teaching, and also suffering from a sprained wrist due to a minor bicycle accident. I’ve been unable to maintain the level of progress I would have liked. However, my schedule is solidifying beginning next week and I anticipate that I will be able to dedicate more time to this project. As before, if you’d like to be among the first to hear when the book is ready for preorder, please join my temporary EDK announcement email list. This list will be used once or twice to make announcements — then will be retired. So you won’t see any traffic until sometime in early 2018. For more granular progress, just keep an eye on this blog. And thanks! Before I get into the updates, I want to make a quick announcement. My books will be at Rhinebeck next weekend! Visit Dirty Water Dyeworks in Building C, Booth 42. I’ll be hanging around on Saturday, but I’m not allowed to do a formal book signing event. That said, grab your books and come find me at the Ravelry meetup at noon on Saturday; I’ll be happy to sign there. Wrist Chakra has been subtly redesigned to work with DK (rather than light worsted) yarn, and I’ll be doing a headband version as well. Silk City has not been redesigned, but has been reworked in different yarn by Youmna, one of my sample knitters. Honestly, I think this one may look better than mine would have! The Box of Delights has been redesigned from the bottom up (or the top down, technically) to be done in Bartlett yarn. This is the yarn I did my original prototype in, and I decided to revisit it for the new design. As you can see, I’m using the same concept as the Whorl’d Tree bag to make one layer a solid color; the outside of the box is still nicely striped but the inside is a solid color. Four Winds has been reworked in a sportweight yarn by Holli, one of my sample knitters. As you can see, I’ve recharted the letters so they’re worked upside down — so that when the brim is folded up, they appear correctly. Finally, Open for Business has simply been re-mounted. I got some very nice hardwood dowels and added caps to the ends after feeding them through the existing channels. There are four more samples that are nearly done or already on their way back to me. I’m in the home stretch on my Whorl’d Tree bag (just about to begin the flap and straps) and have successfully redesigned my Footsies in four sizes. I am shooting for finishing all my patterns by the end of this month; I may or may not achieve this but it’s looking at least within the realm of possibility. October is a nice break for me this year, with no teaching events, and just Rhinebeck toward the end. In November I’ll be teaching and speaking at the Madison (WI) Knitters’ Guild on the 12th and 13th, taking a short break and then heading out by train to teach at the Yarn Attic in Hillsborough, NJ on the 17th, and Loop in Philadelphia on the 18th and 19th. That’ll be the end of my Fall 2017 season. So what’s up for Spring of 2018? As usual, I’ll be kicking off my Spring season in early January at Vogue Knitting Live in NYC. I’m just doing two back-to-back intro workshops on Friday the 12th, and registration should be starting soon! I’ll be hanging out in the vendor area on Saturday. The following weekend I’ll be teaching another intro workshop up at the NH Spinners and Dyers guild in Epsom, NH. I think this is largely open to their guild members but if you’re not, you’re welcome to try. In February, I’m going to be doing the big CA show as usual: Stitches West in Santa Clara! 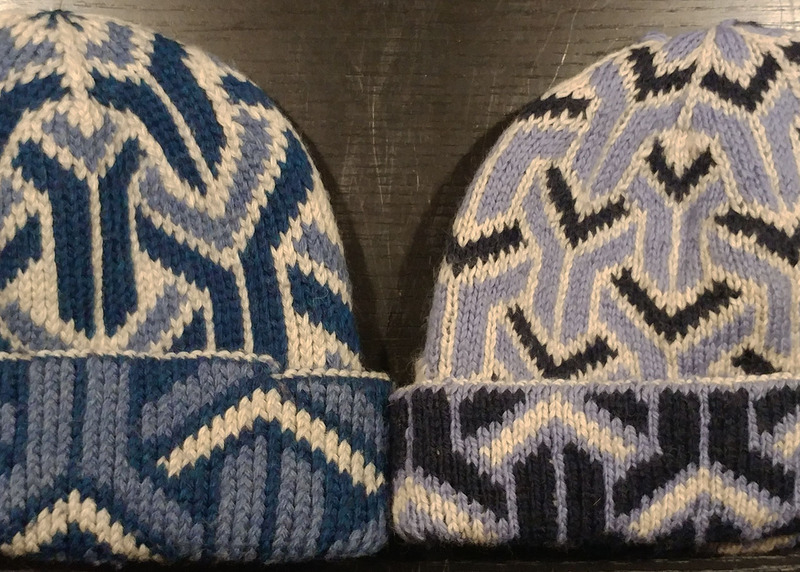 I’ll be debuting two brand new classes too — on double-knit intarsia and double-knit entrelac! Of course I’ll be teaching my usual fare as well. You can visit their site to find out more. On April 6-8, I’ll be making a return to Pittsburgh Creative Arts Festival; I did well there a few years back and I hope people will enjoy my new offerings this year. On April 27 and 28, I’ll be returning to Yarnover in Minneapolis. This was a short but enjoyable event and I hope they’ll continue to book me there. Finally (so far, anyway), on the first weekend in May, I’ll be teaching a series of workshops at Maryland Sheep & Wool! I’m really excited to do this, since I have yet to attend this event and I understand it rivals Rhinebeck in size. Regardless of whether I’m attending an event, if Dirty Water Dyeworks or Wall of Yarn are present, you should be able to get my books there. Thanks for your interest and I’ll keep you posted as I’m booked for more dates or have more news on the book!